As a Coach of 9 and 10 year olds, my husband has always monitored the pitch count of our pitchers in a game. He never lets them go too long. He is always trying to prevent injury and keep those young arms healthy. Of course, we took this seriously, iced it, and kept an eye on it. After a few days, the pain was still there. Not good. After my husband did some research on the internet, we knew something was up, and took him to a pediatric orthopedist. He had ‘Little League Elbow’. ‘Little League’ What? What in the world??? ‘Little League Elbow’ is something that most commonly occurs between the ages of 8-15 in children that do a lot of OVERHAND THROWING. It is an injury caused by OVERUSE of REPETITIVE THROWING motion. The overuse puts too much pressure on the growth plate of inner side of elbow, where the ligament attaches to the growth plate. We explained to the doctor that we were NOT crazy aggressive coaches but that we always kept a count of his pitches, etc. etc. He was happy to hear that but explained to us that it’s not only PITCHING in a game but can include playing CATCHER in a game and all of the warm-up before the game and in between innings. 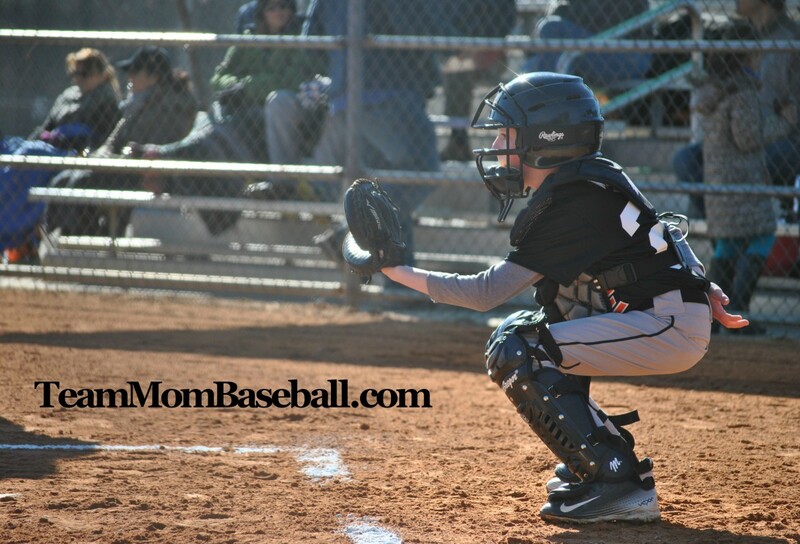 If a kid throws 50 pitches in a game, then plays catcher in the next few innings, this quickly adds up to 100 THROWS in a day…or more! He also explained to us that it is not only pitching and catching in a day/game but the OTHER THROWING that we don’t think about. How many times does he throw in PE? How about the Fitness Program before school? What about Recess? How many throws happen when he’s throwing a ball up against the house in the driveway? It’s not all about pitching, or catching, or outfield throwing, or just baseball…it is the accumulation of it all and being young, active boys. The doctor said to rest the arm for 3-4 weeks. For our son, it took a little bit longer. We were fortunate that our Fall season was getting ready wrap up so he would have a long off season to heal. He had to wear a sling for a couple of weeks to remind him not to use his arm. He was not very happy. After the pain stopped, he had to do some strengthening exercises that the doctor sent us. The doctor also said that it was ok to play basketball, or something else that uses other muscles besides the “throwing muscles”. But, also no Frisbee, or push-ups for a while… it would put too much stress on the elbow. It is essential to have “normal rest” after pitching which includes NO THROWING during days off and during normal play activities. Our son has learned to use his non-dominant left arm for throwing in PE at school, etc. Do NOT throw more than 70 pitches in a day! My husband is extra careful not to let pitchers-catch and catchers-pitch in the same day if at all possible. Recently, we had a double header and were quickly running out of pitchers so some had to double up for some quick innings. Again, the total THROW count was low. So, please keep an eye on the number of throws your boys do in a day. Add in PE, Fitness Club, Recess, outside play at home. My son used to throw a ball against the wall in the basement before this happened. It’s hard being such an active boy. Again, he has learned to throw with his non-dominant left arm and has actually gotten pretty good at it. In every challenge, you can find success…. Let’s keep those arms healthy!! Our Memories at Turner Field… Where do I start? There are too many to count. I truly can’t believe that we are about to go in to the last weekend at this ballpark. I am excited about SunTrust Park and all of the new awesomeness that we are about to experience, but, I am a little sad to say goodbye to a place where we have spent so much time. My husband and I attended the second game ever at Turner Field in April of 1997. We were only dating at the time. Our first date had been to a Braves game at Atlanta-Fulton County Stadium just the summer before, now our life together was to continue at Turner Field. Since then, we have gotten engaged, married, and had 2 children, who are now 11 and 15 years old. Over the years, we have attended MANY MANY games. When we aren’t attending, we are watching the game on TV. We started bringing our children when they were young, but only 2-3 times a year. As they got older, we started attending more and more games and ultimately found ourselves becoming A-List members and attending 20+ games a season. Our babies attending their first ballgame when each was around 4 months old. They both sat so still and were in awe of everything going on around them. They have loved it from the beginning! As I look back at the number of years we have attended games, I am amazed of how many friends and family members we have run into there and attended games with. I think about how many times we have run the bases, both on the field and up in the Coca-Cola Sky Field area, or how many times we have pitched or hit a ball in Scout’s Alley, or how many times my son has played foam baseball in the Children’s Healthcare Family Zone. I wonder how many times my daughter and I have gotten our face painted, how many times we have walked around the warning track, chased foul balls, or have been on our feet cheering our guys on to win. We have celebrated our wedding anniversaries, our children’s birthdays, graduations, Mother’s Days, Father’s Days, large groups from our youth group at church and school, etc.etc. I think about the number of hotdogs, pizzas, chicken fingers, bags of cotton candy, ice cream cones, and King of Pop popsicles we have eaten. The number of posters that my children have made to support their favorite players, the number of balls we have caught during batting practice, and the number of players that have thrown a baseball to my children, which is an absolutely precious gift. I think about the time my husband caught a homerun ball, hit by Evan Gattis, in his glove in centerfield on Father’s Day! And the time a homerun ball, hit by Freddie Freeman, bounced on the seat behind me and I reached up and caught it barehanded. But most importantly, the number of hours we have spent watching our favorite game, cheering on our favorite team… together. My children will remember growing up at this Ballpark. I’ve always loved it that when we were at a game, my childhood or current friends would send me a message saying, “Hey! We are at the game, are you here?” They knew we would be there, and this has prompted some very fun reunions. At the start of this season there was so much negativity surrounding how the Braves were playing and attendance has been low, so we have been able to “stretch our legs” a little bit at games this year. But now, I am THRILLED that the team is playing FANTASTIC baseball, winning their last 10 out of 11 games, and there will be a sold out crowd at the Final game this Sunday to celebrate the final game. I’m so proud of our team and always proud to be a Braves Fan! I feel a little nostalgic to say ‘so long’ to Turner Field, but so excited for the next chapter at SunTrust Park. This team is going to take us very far in the years to come!! Just Wait! So, Thank you to The Atlanta Braves and Turner Field for making the last several years really fun and enjoyable for our family. Always a Great Fireworks Show! We got to meet Steve Avery!! We were chosen to be a part of a pre-game parade and Matt Wisler was warming up! Paul Byrd stopped to take a picture with me. He is the nicest guy! He does a great job reporting about the Braves. In 2015, our son was chosen to be the Honorary Team Captain for the game that night which meant he got to go to home plate and meet the umpires and both managers! He was so happy. An autographed ball by Fredi Gonzalez and Andrelton Simmons! Andrelton threw a ball to my daughter during batting practice the day before and on this day he signed it! We loved him! This was our son’s birthday/last day of school/5th grade graduation day, so, of course, we were headed to the Braves game that night! He was so excited! The Braves found out it was his birthday/5th grade graduation so they upgraded our seats to 4th row by the Braves on-deck circle. It was such a special treat! I’ve always thought this was supercool! My family. 🙂 We were at the Lead-off Luncheon at Turner Field with the Braves players and coaches back at the beginning of this season. A really fun day!